Information to whoever wants to leave the country from the northern region of Argentina. Here you will find the characteristics of the steps toward border into Chile and Bolivia. For the route 51 can reach the crossing of Sico, 4093 meters above sea level and 297 km. of Salta City. Comunicate Salta with the Chilean city of San Pedro de Atacama, which is 211 km. of the Sico border crossing. Turning 30 km. Cauchari locality, taking Route 37 until Catua town. From Salta city is 302 km. 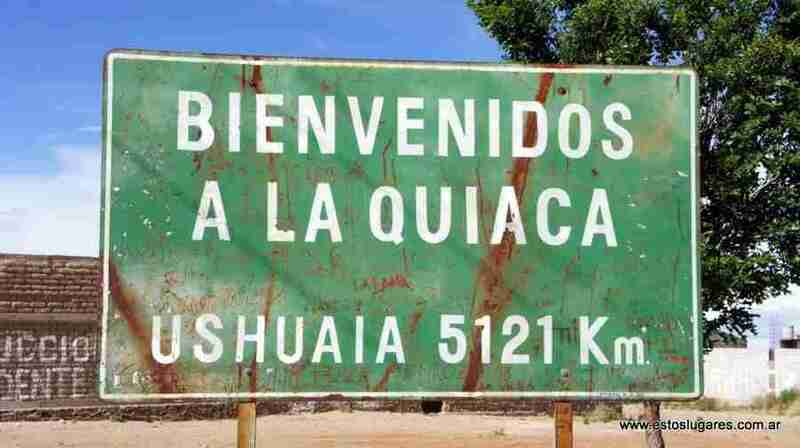 and from here to San Pedro de Atacama is 163 km. This step is in a state of semi-abandonment. For Cauchari, taking Route 27, near Caipe town, born a path heading northwest, after that, at 71 km. leads to this step which is 3876 meters above sea level. Since this step to Antofagasta (Chile) there are 306 km. There are only service for travelers in this Chilean city. This is the most commonly step used because it was recently completely asphalted. Communicate with Chile to Argentina through the Corridor Bioceánico Atlantico – Pacifico. Extreme temperature in summer: -5 at night and 15 degrees during the day. Extreme temperature in winter: -20 overnight and 5 degrees during the day. On Route 9, at 46 km. Salta until Güemes, and then take Route 34, heading north. It passes through the province of Jujuy and Salta to re-enter. Passing through Tartagal, Salvador Mazza, and thence to the Bolivian city of Yacuiba. This step is 380 km. from Salta City. Average summer temperature: 41 degrees. Average winter temperature: 20 degrees. On Route 34 to the town of Pichanal. Here comes the route 50, leading to Aguas Blancas, which is 2 km. that an international bridge Argentina with Bolivia. Average summer temperature: 43 degrees. The city and the international bridge of La Quiaca, is almost at the point end of the country. It connects the towns of La Quiaca, (18,000 inhabitants. ), And the town of Villazon in Bolivia (24,000 inhabitants). Average summer temperature: 30 degrees. Average winter temperature: 18 degrees.